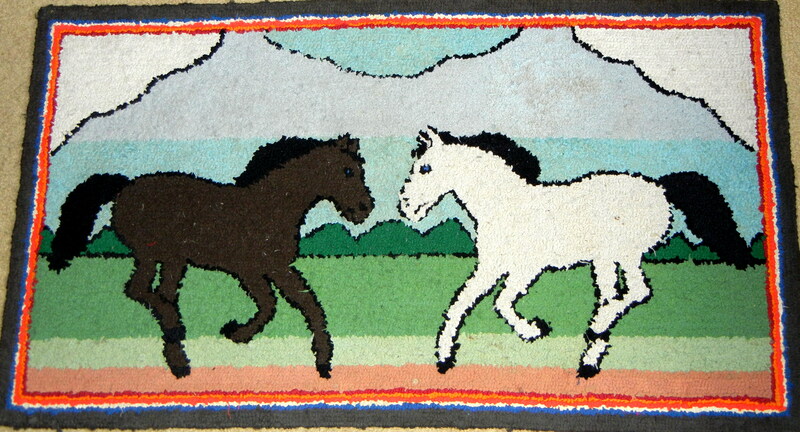 This folky hooked rug is lovingly worked and signed by “Eveline” on the reverse, and features two galloping horses. It is backed on burlap and retains its vibrant colours. Southern Ontario, 20th century. Size: 21½" x 39½"